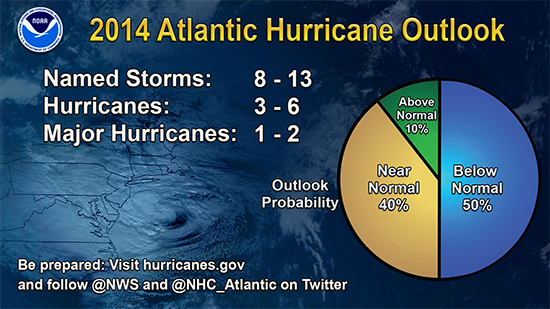 According to the National Oceanic and Atmospheric Administration, 2014 should prove to have an average number of hurricanes. The key reasons: Cooler water temperatures in the Atlantic Ocean and the emergence of an El Niño weather event, which diminishes the conditions needed to gestate hurricanes at an above average rate. Of course, only one hurricane is needed to produce another remarkable disaster. That hurricane needs only to pass over a densely populated land mass.